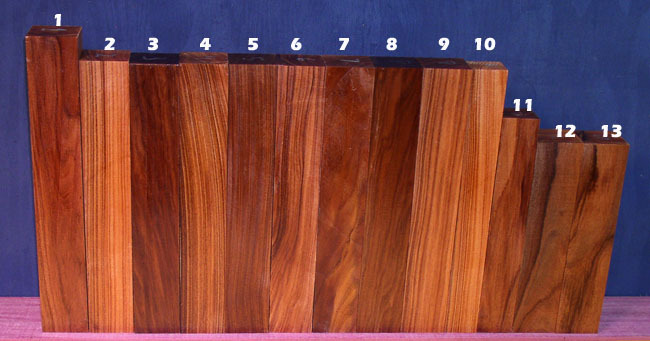 Also called "Pau Ferro" or "Morado"
This wood has excellent fine grain and very attractive stripes. It is great to work, both as a turning and a furniture wood. Recently, furniture companies have been realizing the great appeal of this wood for high end furniture. 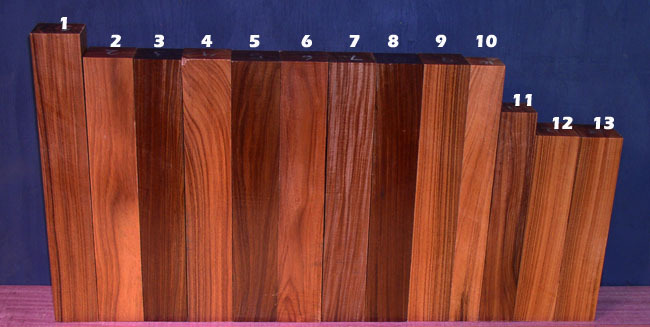 This has driven up demand, and at the same time the Bolivian government is allowing much less of the wood to leave the country in log form where it can be cut into turning stock. These two factors are driving up prices. 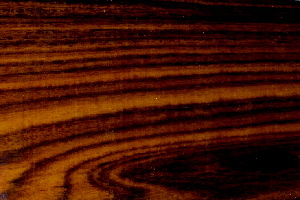 The wood is now becoming harder to get as quality turning blanks. Specific gravity is about .85 . These are kiln-dried in this size! Click the photo for view of side 2. Actual pieces shown, all pieces are dried. 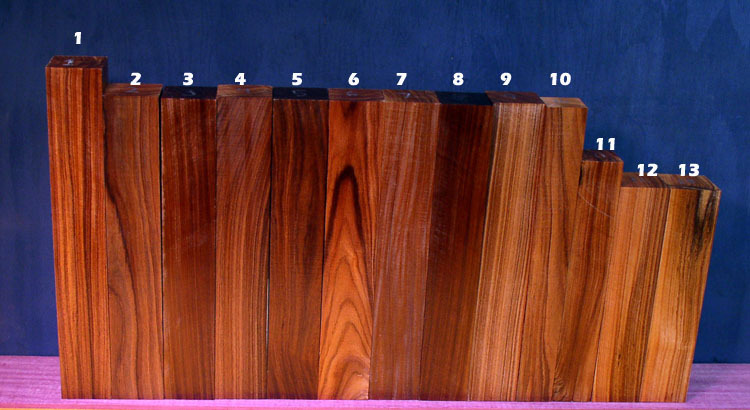 Bolivian rosewood is one of the most satisfying exotics to work with. The finish that can be achieved is incredible. When I first started woodturning this was the first wood that I was able to see a reflection of my face after sanding, and that was bare wood. Not many woods have that capability. 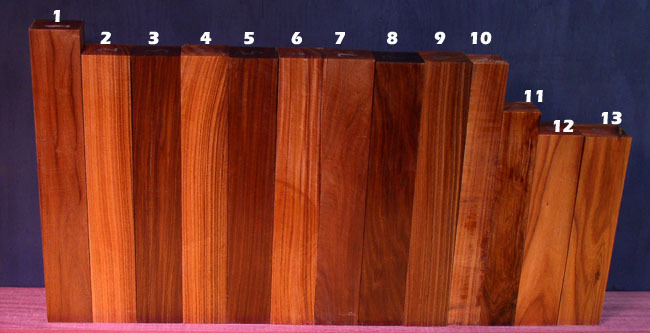 Mostly used as a high end cabinetry wood, but fantastic for all kinds of work. This comes from Bolivia, where the whims of the president change by the day seemingly, and he allows and then disallow shipments out of the country all the time, so we never know when it will be available. Sometimes we go years in between shipments, and after receiving the wood it usually takes over 2 years to dry it. We do dry ours, which is fairly difficult to do without cracking. It is usually sold wet for that reason, as it takes a long time to dry and cracks badly during the process. Once dry it is quite stable.